THIRTY-FIVE INCREDIBLY talented authors have gotten together to offer the HUUUUUGE-est book prize of summer. So many books, to finish out your summer vacation with a BANG. Good luck! This contest will run through August 15, 2017, and the winner will be announced on August 16. Look at all those handsome fellas! Yee-haw! I’ve joined up with another incredible group of authors to offer ONE WINNER all TWENTY BOOKS! WOWZA!!! This contest will run through July 31, 2017, and the winner will be announced on August 1. Don’t you just love it!??! Another delightful Christmas in July e-book giveaway to share with you! I am joining 19 other Christian authors to give you lots of “cool” books to get you through this HOT summer! These books, these authors are amazing! Enjoy and good luck!!! That’s right … TWENTY BOOKS … ONE WINNER!!! There is also an additional Christmas in July Facebook party including #99cent book sales and lots of GIVEAWAYS and FUN! Sign up now so you’ll be ready when it begins on July 24th … Click here. This contest will run through July 31, 2017, and the winner will be announced shortly after. 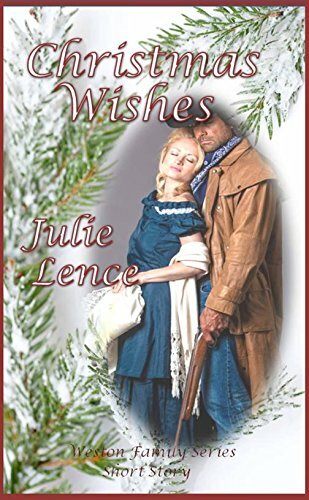 Let’s celebrate Christmas in July with another awesome giveaway, from a lovely western writer… JULIE LENCE! With a winter storm threatening to blanket the land in snow, James Landry boards a train to Denver two days before his Christmas Eve wedding to Tess Weston, despite her misgivings that the storm will hinder his return trip home. But James has to go to the big city to replace the worthless ring he mistakenly bought for her with a band of real gold, and assures her nothing, not even snow, will keep him from arriving at the altar on time. But James doesn’t count on finding himself stuck in knee-deep drifts, with a Colt .45 staring him in the face. Tess has had an eerie feeling that something bad is going to happen to James since the moment he told her of his trip. With fat, flakes of snow falling steadily from the sky, images flicker in her mind of him stranded in a hotel room, or on a cold train car. But for some reason, the snow piling up outside her window doesn’t lend weight to her fear that James is in grave danger. Determined to help him, Tess sets out on a course to find him, only to have one obstacle after another deter her from reaching him. After spending two years in Wyoming, Cade Weston is eager to return to his family’s ranch to celebrate the Christmas holiday. But fate intervenes in the form of a tortured soul—Nicole. Her guardian has abused her, leaving Cade with little choice but to pay for her freedom and take her with him. Holed up with her in a Denver hotel, a feeling hints he wants more from her than a thank you for having helped her. Problem is she doesn’t return the feeling. Nicole Lamar has spent the past six months dreaming of freedom. Savannah, with its warmth and sunshine, beckons. Now that Cade has rescued her from an evil proprietor, that freedom is within reach. But when the handsome cowboy proves he’s the owner of a Christmas Heart, a life without him suddenly isn’t so desirable. Before she can approach him about the matter, he purchases a ticket for her on an eastbound train. And one for himself on a southbound train. U.S. Marshall Chance McBride has spent weeks tracking Steve ‘Smarty’ Jones. Ambushed and wounded by the outlaw, Chance is forced to seek help at a nearby school. But the teacher isn’t what he imagined. Instead of a male wearing trousers, a female takes charge of his care. Bright blue eyes and soft curves; Tabitha’s sassy nature awakens a deep-seated loneliness only she and a Christmas wish can soothe. Tabitha Weston has never favored anything girlie. She’d rather saddle-break wild horses than bat her eyelashes and flirt with a man. But one glimpse into Chance’s molasses-colored eyes and Tabitha’s abhorrence to relationships is suddenly corralled by her need to win the lawman’s favor. Can a wish upon Christmas snow for him to trade the freedom of the trail for a home with her actually come true? She’s about to find out. A winner will be selected on July 26, 2017. 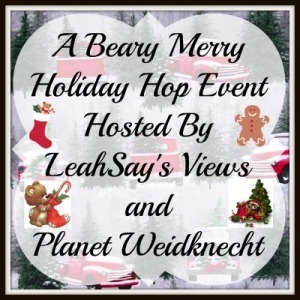 An amazing group of authors have gathered together to give you a HUGE Christmas in July GIVEAWAY! I am honored to be a part of this incredible line-up! Just look at all those cheery, festive, Christmas book covers! Check out this amazing group of TWENTY authors and the fabulous books they are offering to one lucky reader. This contest will run through July 21, 2017, and the winner will be announced on July 22. 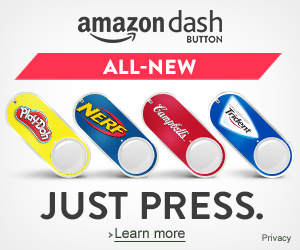 School is out, The Days are long, The sun is hot, and the giveaways are a plenty! Come join us for some Summer fun . 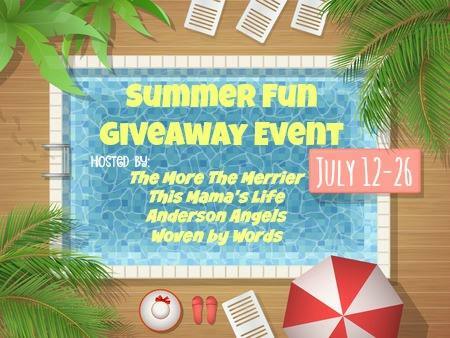 Anderson’s Angels, This Mamas Life, The More The Merrier and Woven by Words, are very excited to bring you the Summer Fun Giveaway Event! We’ve teamed up with over 15 other wonderful bloggers, to bring you another great giveaway event! Each blog has gathered a prize package worth $25 or more so be sure to visit each blog and enter! Click here to start reading a free sample of Hearts in Defiance right now! MEN MAKE MISTAKES. GOD WILL FORGIVE THEM. WILL THEIR WOMEN? Charles McIntyre built the lawless, godless mining town of Defiance practically with his bare hands … and without any remorse for the lives he destroyed along the way. Then a glimpse of true love, both earthly and heavenly, changed him. The question is, how much? Naomi Miller is a beautiful, decent woman. She says she loves McIntyre, that God does, too, and the past is behind them now. But McIntyre struggles to believe he’s worth saving … worth loving. Unfortunately, the temptations in Defiance only reinforce his doubts. Billy Page abandoned Hannah Frink when he discovered she was going to have his baby … and now he can’t live with himself. Or without her. Determined to prove his love, he leaves his family and fortune behind and journeys to Defiance. Will Hannah take Billy back or give him what he deserves for the betrayal? Gritty and realistic, this is the story of real life and real faith in Defiance. The sequel to the highly acclaimed, best-selling western romance A Lady in Defiance! Hosts & participating hop bloggers of the Summer Fun Event are not responsible for sponsors or self-sponsoring bloggers that do not fulfill prize obligations. Us, Indie Authors are the little guy in the publishing world. We love to write and get our books out to you, our most beloved readers. Let’s celebrate our Independence together! Check out this amazing group of TWENTY authors and the fabulous books they are offering to one lucky reader. This contest will run through July 11, 2017, and the winner will be announced on July12. Alice loses herself in grief and can’t find her way back. In 1954, twenty-six- year-old Alice Patterson undergoes a pregnancy loss that affects everything and everyone she touches. Emotionally and physically drained, she must come to terms with her traumatic loss or risk losing her husband, her best friend, and her sanity. Her best friend JayNell and her husband Paul offer Alice support and comfort. She persists in her grieving, which hinders her healing. The doctor advises there is no normal recovery period for what Alice has undergone. Time is her best ally. In her small southern Mississippi town, her church Sewing Circle’s new project triggers an unsettling setback to Alice’s recovery. Afterward, she succumbs to suspicions of Paul’s infidelity that causes her collapse, from which she may not recover. Paul’s unspoken goal is that they will recapture the love they held for one another on their wedding day. He’s hopeful that the approaching spring season will bring a reawakening of the Alice he married, as it brings a newness to all living things. Jo Huddleston is a multi-published author who writes novels inspired by her fascination with the 1950s and her love of her native American South. Novels in her endearing Caney Creek series, her West Virginia Mountains series, as well as her stand-alone release, Tidewater Summer, are sweet Southern romance novels. She is a member of American Christian Fiction Writers and the Literary Hall of Fame at Lincoln Memorial University (TN). Visit Jo at her website (www.johuddleston.com) where you can sign up for her mailing list and read the first chapters of her novels and novellas. Alice Patterson bolted upright in the bed and listened for what had awakened her. She heard nothing out of the ordinary. Only the hushed, even snores from her husband Paul’s side of the bed. The black hole in her recurring nightmares must have invaded her subliminal mind—again. She had awakened before she sank into its depths. Paul still slept. Obviously, she hadn’t screamed out this time. She eased from beneath the covers, pushed her feet into house slippers, and grabbed her pink terry cloth robe lying across the foot of the bed. After stepping into the hall and pulling the door shut, she stuffed her arms into her robe and tied the sash around her waist. She knew her house, even in the night, and walked to the darkened bedroom next to hers and Paul’s. Alice sat in the rocking chair and idly moved it with one foot grazing the hardwood floor, her arms empty. She remained there even after the music box played its last note. Blinding light burst from the hall and pierced the darkness of the room to reveal the baby bed. Empty. Paul repeated what Dr. Stallings had told her before he released her from the hospital ten days ago. But what did she need her strength for? She no longer carried the baby they’d both dreamed of. Her body was now empty like her arms and the baby bed. A winner will be selected on July 11, 2017. Did someone say CHRISTMAS IN JULY!?!?!?! When the summer sun and humidity has wilted you to a pulp, this is the perfect time to think about a little bit of snow and happier thoughts of Christmastime! 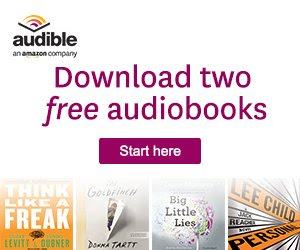 Are you into the Audiobook craze? There is a sample of the Audible version of In Time for Christmas that you can listen to here. Just click on the “Audible Sample” button located just under the book cover picture. Charlene needs a miracle to escape her abusive husband. Will traveling one hundred years in the past be far enough? 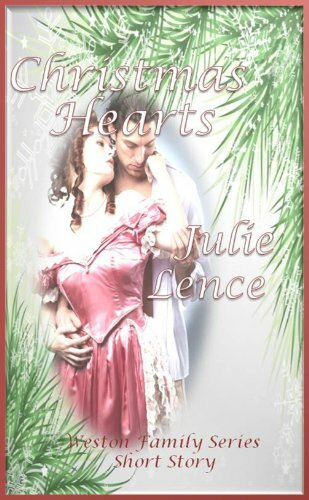 A time travel romance with a Christian spin, In Time for Christmas, is the story of Charlene Williams, a woman trapped in a dangerously violent marriage. When husband Dale discovers her innocent chats with the mailman, he flies into a jealous rage and whisks her out of town to his family’s ranch–an isolated, dilapidated place no one has lived on for years. With the promise that he’ll be back in a few days, he knocks Charlene unconscious and leaves. She wakes up on the ranch–a hundred years in the past. Almost instantly she is drawn to Billy Page, Dale’s great grandfather. The connection is powerful and mysterious, but should she risk falling in love … with a ghost? What’s going on here? Is Charlene dead, dreaming, in a coma, or simply experiencing a gift from her heavenly father? She’ll learn one thing for certain: God is in control of the very fabric of time.